This capacious Beko washing machine can cope with the needs of a family’s washing whilst also being available at a reasonable price. It combines simplicity of use with several handy features. 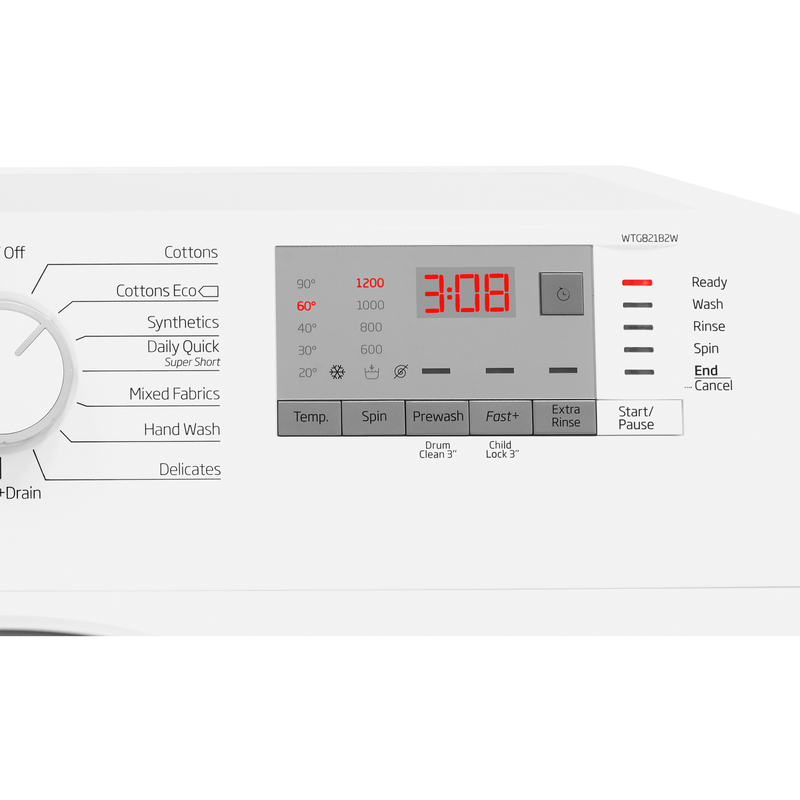 This white Beko washing machine comes with a range of 15 programmes, including the daily quick programme which washes up to 8kg of laundry in 39 minutes or under. The clear LED display and convenient control panel make it easy to adjust temperature and spin speed settings. Its slim design, being just 54cm deep, makes it ideal for kitchens with shallower units. 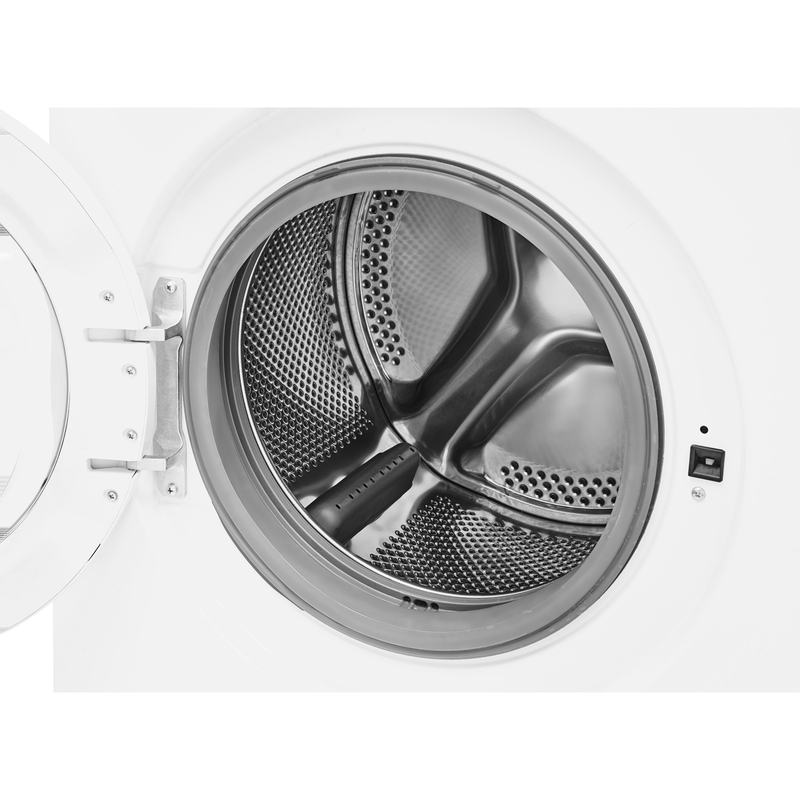 An Automatic Water Level Reduction feature uses less water for half-load or smaller washes, saving you money on your bills. 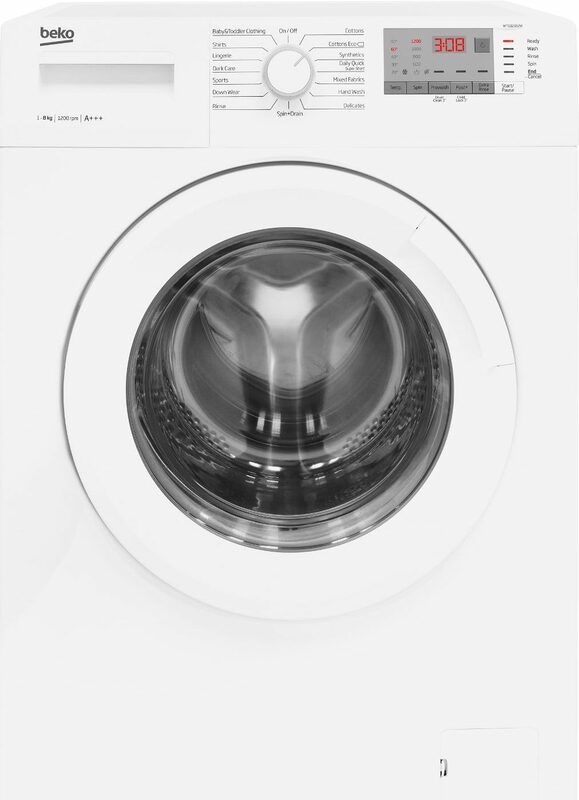 Its 8kg capacity means that this machine is more than capable of coping for the washing needs of a family. A child lock feature is ideal for keeping away prying hands. Its reasonable price makes this a great bargain for your kitchen.